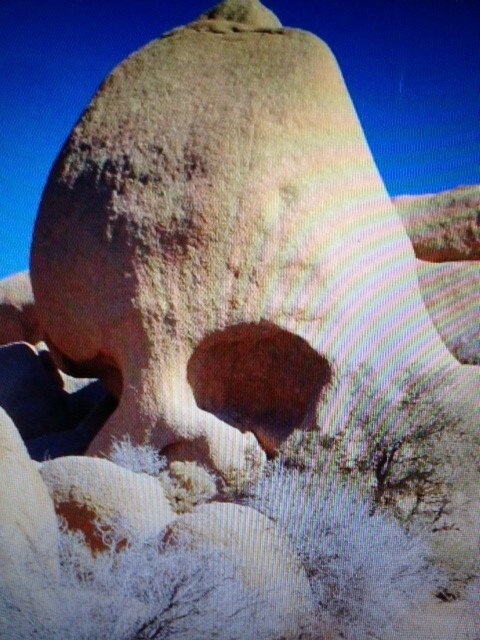 I was amazed again by the wonders of the desert on my journey last week, but this time in a totally different way. Those who have followed us here know my fascination with places like Death Valley and Joshua Tree; last week’s journey took me to another desert, the Sonoran in southern Arizona, and the wonders I saw there were our brother, Jack’s kids and grand kids – no hiking and camping on this trip. 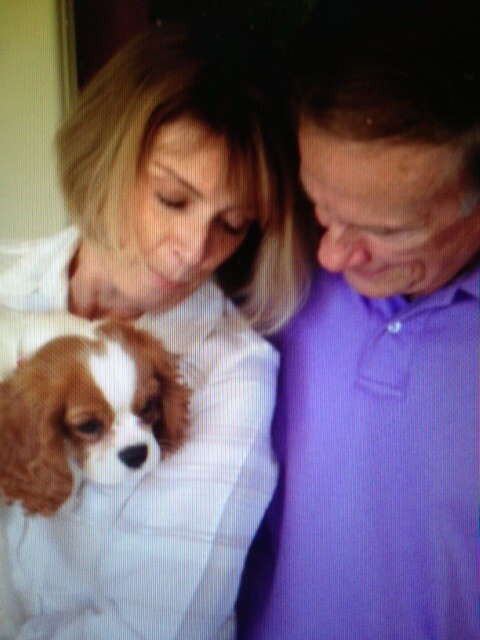 It didn’t take long to see that it was true, Dash was now in full control of Suzanne, Al and all that goes on around the house . . . no, make that their lives. It was easy to see why this dog commanded such attention – he is adorable. When I found us all talking baby talk to the dog, I knew it was time to hit the road. 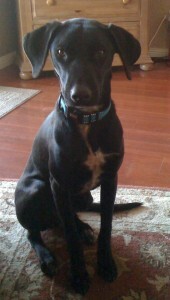 We headed south, confident that the newest member of our family had his owners firmly in control. Look up the word ‘family’ and you’ll find everything from ‘a taxonomic group containing one or more genera’ to ‘a loose affiliation of gangsters in charge of organized criminal activity’. 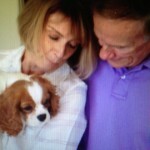 What you should see is a picture of the Watson family – Colin, Shelley, Katie, Abby and Murphy, the dog. They are a fun-loving family full of caring, intelligent, thoughtful, humorous, loving people. 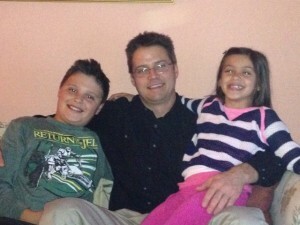 Add in nephew, Matt and kids Jackson and Madelyn, and you’ve got quite an assembly of people I just love being around. Matt is a single dad who has his own physical therapy business; he is an intelligent, spiritual man who has a serious side, but is also one of the funniest people I know. My cheeks hurt from laughing when I with him. And I’m related to them all – which some say adds credence to the ‘me being adopted’ theory. professional athletes – rather refreshing. If ever my faith needed to be restored in our youth, our future, it was – in straight sets. After spending a very enjoyable ‘family’ weekend, we stopped in Phoenix on our way home to have breakfast with Linda’s sister and her husband, Starlet and Donnie, who, you guessed it, are great people! I have come to enjoy the wonders of the desert; the mild days this time of year, the gentle nights; always amazed at how things not only live in this environment, but flourish. 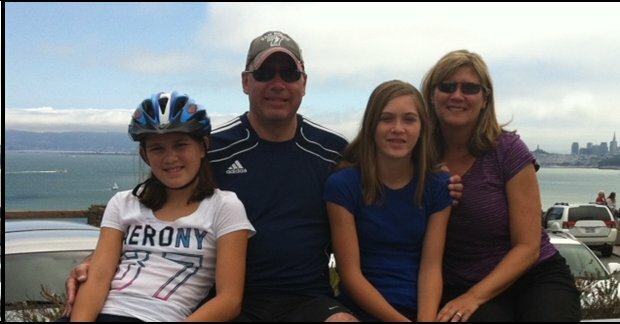 And so it is with family there; I enjoy the smell of Matt’s chicken on the barbeque, the noise of kids at play in the pool, Colin’s British accent, Shelley’s make-you-feel-comfortable style, but mostly I enjoy the wonder of family and feel so very fortunate that Linda and I are so blessed with great family. 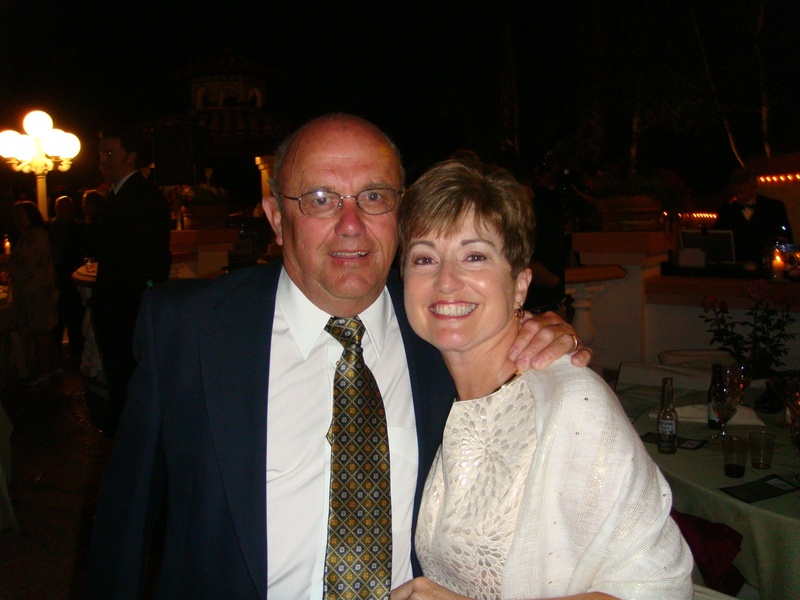 If you’re reading this on Monday morning, most of you know that I will be a bit preoccupied with my immediate family – daughter Dana is undergoing heart surgery this morning. I’m looking forward to next writing about her successful recovery. This year marks the twenty-fifth anniversary of a wonderful little book, “All I Really Need to Know I Learned in Kindergarten”, by Reverend Robert Fulghum. 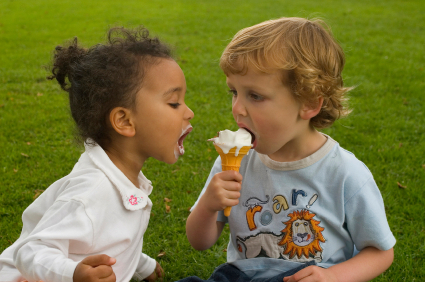 For those of you too young – or too old – to remember, it included an essay proposing that the basic rules we learn as children teach us everything we need to get along as adults. It contains a list of 16 suggestions for a better life, ostensibly gleaned from the copious notes Fulghum took while still in elementary school. I re-read his essay the other day and had to admit that there were some real gems on the list: play fair, clean up your own mess, and a current favorite of mine – take a nap every afternoon. All in all, I think his essay has held up pretty well after 25 years. With one notable exception. Reverend Fulghum’s #1 piece of advice was “Share Everything”. It would appear that this particular tidbit has been taken a bit too literally. At some point between 1988 and now, it has become fashionable to SHARE EVERYTHING. Been in a public place lately? I’m betting that people on cell phones have “shared” lots of information with you. I’ve heard conversations about cheating husbands, women who neglect their children, steamy dating details and so many medical updates I could write for Web MD. Put a cell phone in someone’s hands in the public square and suddenly no detail is too intimate to share with the world. Facebook is so enamored with the notion of sharing that it has a “Share” button, which makes it easy to delight our friends and family with an up-to-the-minute status of our activities. Personally, I love seeing pictures of my friends and their kids and animals. I even enjoy vacation pictures. But like everything else, some people have taken it to excess. I’ve read about colonoscopies, induced labor and ear wax. One particular bugaboo of mine is people who take pictures of their dinner plate at a restaurant and immediately post it on Facebook. Frankly, I could care less that some chi-chi chef has curled radicchio around a terrine of goat’s liver. I don’t even care about seeing a triple bacon cheeseburger, although that’s more to my liking. Here’s my take – if I wanted to see food on a plate I’d subscribe to Gourmet magazine. But the most flagrant offender of over-sharing is Al Roker. 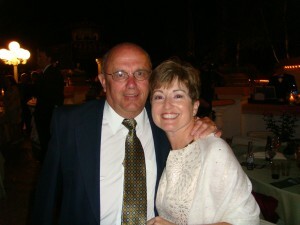 He recently released a book outlining his journey through gastric bypass surgery. I have nothing against Mr. Roker or even gastric bypass, for that matter. But in the course of an interview Mr. Roker cited a passage from his book about the White House dinner he attended shortly after his operation. He then proceeded to tell the interviewer that – well, I won’t go into detail here but suffice it to say that he soiled his pants. Talk about TMI! Why in the hell would someone go on national TV and admit that? I can tell you one thing based on personal experience: you will never look at Al Roker in quite the same way again. And while we’re thinking of sharing, why not share this blog with your friends and ask them to subscribe? Thanks! Anyone that tells you they slept like a baby in a sleeping bag in a tent on a windy night in a public campground is lying, or the baby was colicky. The night passed slowly, but I knew I’d feel better in the morning after a cup of coffee and a nice warm shower. I settled for a cup of coffee, there were no showers. We’ve got three key destinations planned for the day, so we set out early for the first one, The Hall of Horrors. ‘The Hall’ is a natural tunnel through a large rock formation, that is not easily found, but once found, is spectacular. Here is a video of our trip through the Hall of Horrors as found on YouTube – it is really cool. 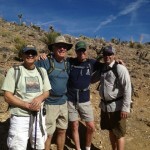 Our next hike was the loop to the Lost Horse Mine. To quote the parks literature on the mine, “the story of the Lost Horse Mine if filled with cowboy gun fights, cattle rustlers, horse thieves, the lure of gold and some sticky-fingered miners”. 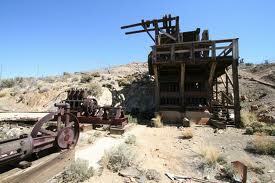 Surprisingly there were a lot of gold mine in the Mojave Desert, over 300, but most were very unproductive, the Lost Horse Mine was an exception. Over 10,000 ounces of gold and 16,000 ounces of silver (worth about $5 million today) were mined between 1894 and 1931. 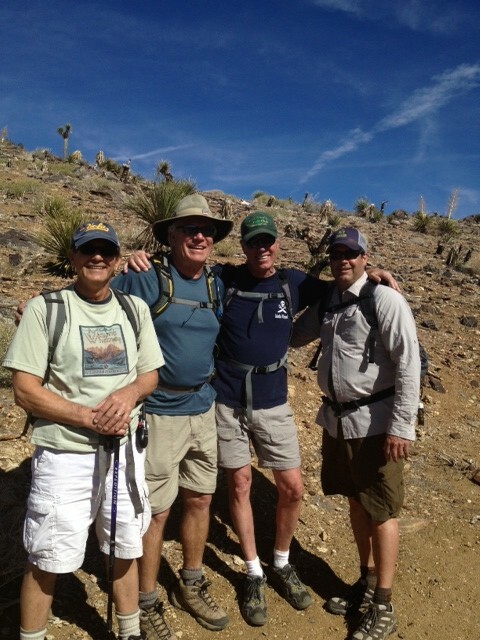 We had perfect weather for this 6+ mile hike and found the history of the mine and the area around it fascinating. Our final destination for the day was Keys View – thank goodness it was drivable as we were low on water, but had plenty of wine; so we drove there before sundown, snapped the neck off a bottle of Pinot Noir and enjoyed the view. There was an interesting picture on a plaque at Keys View showing what the view would look like if it were smoggy – I guess Southern Californians are used to seeing things that way, so they didn’t want to disappoint anyone who made the drive up there and found that the air wasn’t something you could sink your teeth into. Our view on this day was crystal clear. To the south we could see the Salton Sea, and beyond was a mountain at the US-Mexico boarder. In front of us some 5,000 feet below was a very visible San Andreas Fault, running the length of the Coachella Valley, from Palms Springs to Indio. In the distance you could see Mt. San Jacinto and Mt. San Gorgonio, both over 10,000 feet and snow-capped at this time of year. Finally, we could see the bottom of our wine glasses, which meant it was time to head back to camp for a hot shower and dinner. Oh yeah, just dinner. 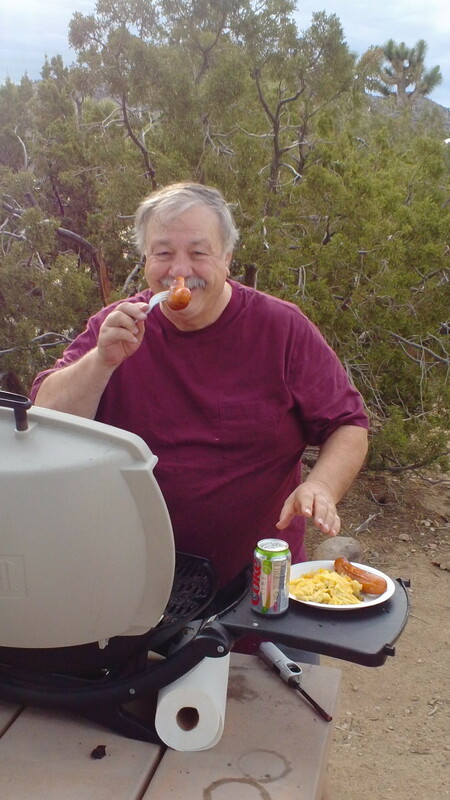 Dr. Chuck Wagon had prepared a delightful repast featuring cooked-over-the-fire chicken and his ‘special potatoes’ . . . and some more wine. Hiking affords one a lot of time to just walk and wonder, not bothered with interruptions or to-do lists. Hiking in the desert is particularly inspiring as one sees this abundance of flora and fauna and wonder why and how they manage to not just survive, but thrive in this environment. 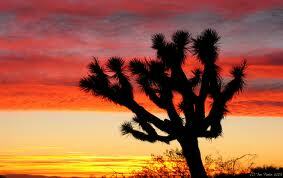 To me the desert is amazing; it is so desolate, yet filled with so many wonders. No one made the Indians, miners and ranchers stay in the desert, but many remained and managed to carve out a living in this seemingly god-forsaken place. 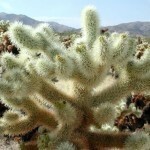 The reality is that it’s not god-forsaken, there are an amazing number of things living in the desert. We sit around the campfire as the sky turns incredibly black and the star shine literary like diamonds. 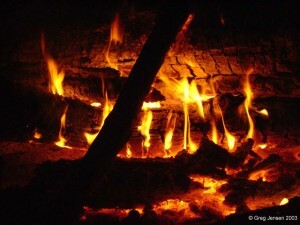 We can hear some critters in the distance and the popping of the logs on the campfire. It was a good day . . . no, it was a great day! It was all I could do to make a left turn when traveling southeast on Interstate 10 through the Mojave Desert. The usual right turn takes me into the Palm Spring/Palm Desert communities where for years I’ve gone to relax, play golf and perhaps partake of a margarita, maybe two. But last week, turning left took me into Joshua Tree National Park where hiking and camping replaced golf and margaritas. 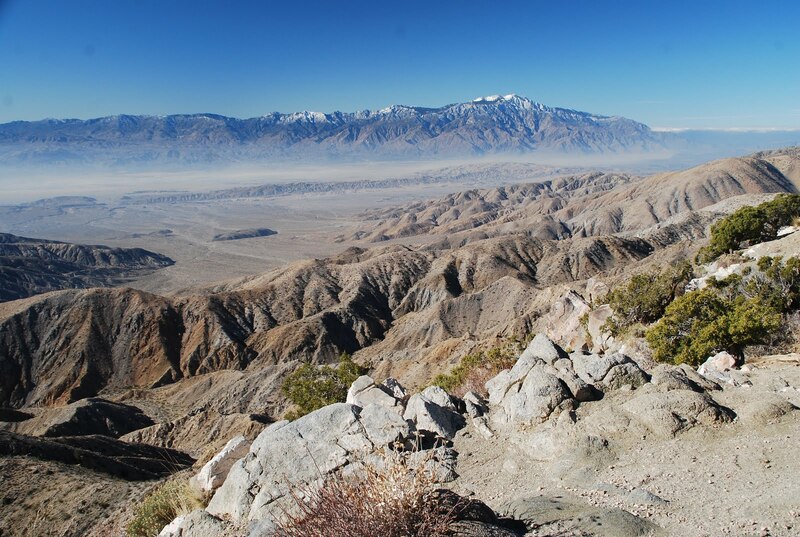 ‘The Boys’ and I planned to camp and spend the weekend hiking just to see what was shakin’ around the San Andreas Fault, which runs through the park. Even though I’ve lived within two hours of ‘Josh’ (we’re now on a first-name basis), I had never been there. 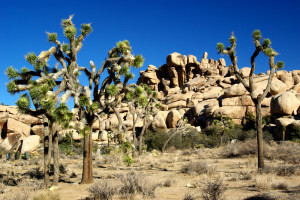 Apparently I’m not the only one late to this party, Joshua Tree was a mere National Monument (at slightly larger than the state of Rhode Island it was quite a large monument!) until as recently as 1994, when it finally became a National Park. – Patrick ‘Trail Boss’ Michael, who plans the trips, draws the permits, has all the trail maps, plans the menu and brings the firewood. He’s an engineer by trade – what a surprise! – Bob ‘Sparky’ Pacelli, who insists we each carry a walkie-talkie even though we never get more than 20 feet from each other during the entire weekend. The only time the walkie-talkies were used was when he heard from a trucker on Interstate 10 trying to get lucky. – Rick ‘Greeter’ Sullivan, the friendliest man on the trail; greets everyone he meets with his big, easy smile. 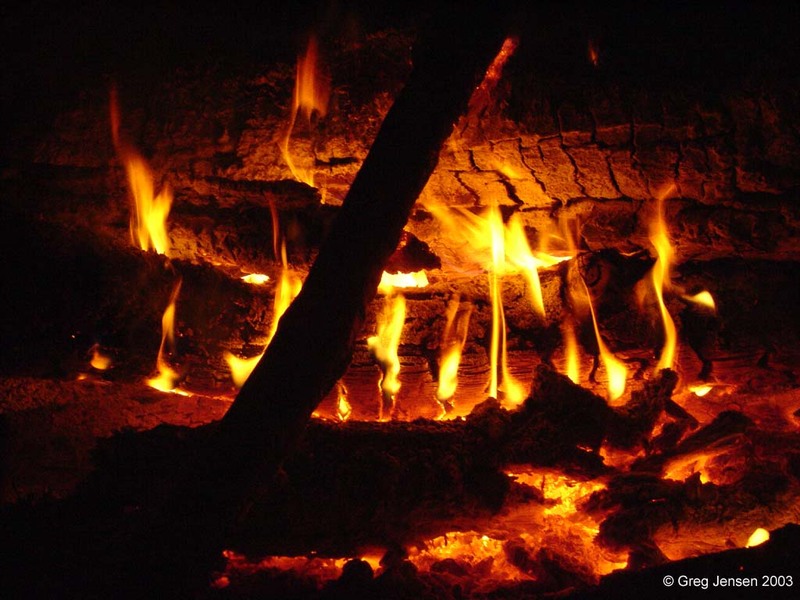 If he’s at your campfire make sure you have plenty of wood, ‘cause he’s got plenty of stories. 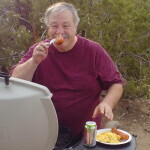 – Richard ‘Chuck Wagon’ Wade, who is not a hiker, but asked if he could come along and cook. Hell yeah! Since he’s a forensic doctor with a degree from Harvard, we respectfully call him Dr. Chuck Wagon. – My nickname is ‘Avalanche’ because I used to come down a hill fairly quickly, that was then, now they’re thinking about changing my name to ‘Lava Floe’ or ‘Petrified Rock’. We entered the park at the Cottonwood Springs entrance, which is at the far southeastern corner; our campsite was at the Black Rock Nature Center, which is at the far northwestern corner, so it allowed us to drive through the middle of the park (about 65 miles), stopping along the way when we found something interesting. 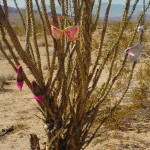 The first interesting site we saw was the rare ‘Bra & Shoe Tree’ (photo left). Nope, not sure how they got there, but I’d appreciate it if the person who put them there would call my wife and explain – she’s not sure what kind of camping we were doing. Our first stop was right inside the gate where there is a good long hike (Lost Palms Oasis) and a good short one (Mastodon Peak). Given that we had ‘miles to go before we sleep’ we took the shorter hike, which took us past the old Mastodon Gold Mine and ultimately to Mastodon Peak which provided us a great view of the Salton Sea and the namesake rock, the one that looks like a mastodon. and have lunch, is a good example. The rock formation in the photo below didn’t have a name that we knew about, so we made up one: ‘Four Frogs Fornicating’ – if you look at it long enough and from just the right angle maybe you’ll see it, but probably not. I don’t think our name will make it into the National Park Registry. The road through the park has a good number of pullouts and informational plaques that help explain what lies in front of you, like a beautiful Joshua Trees forest, or a row of those pretty, but prickly cholla cactus or just a collection of interestingly-shaped rocks, many of them with rock climbers on them. Since ‘Dr. Chuck Wagon’ wasn’t getting in until the next morning, after we got to our campsite and pitched our tent, we decided to go into town for dinner. Town, in this case was Yucca Valley, although we could have opted for the bustling burg of Twentynine Palms. 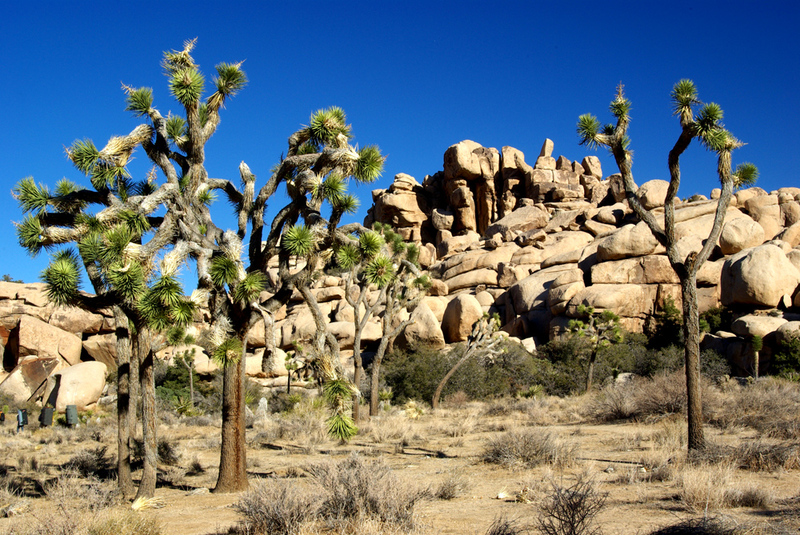 We were told about a place just out of Yucca Valley called ‘Pioneertown’, where a movie set of a western town was built in the 40’s and a number of western movie and tv series were shot there staring the likes of Roy Rogers, Gene Autry and the Cisco Kid to name a few. We had dinner at an old western saloon there called Pappy & Harriet’s. OK, we weren’t exactly ‘roughing’ it, but we did drive back to the park after dinner and retire to our tent for the night. 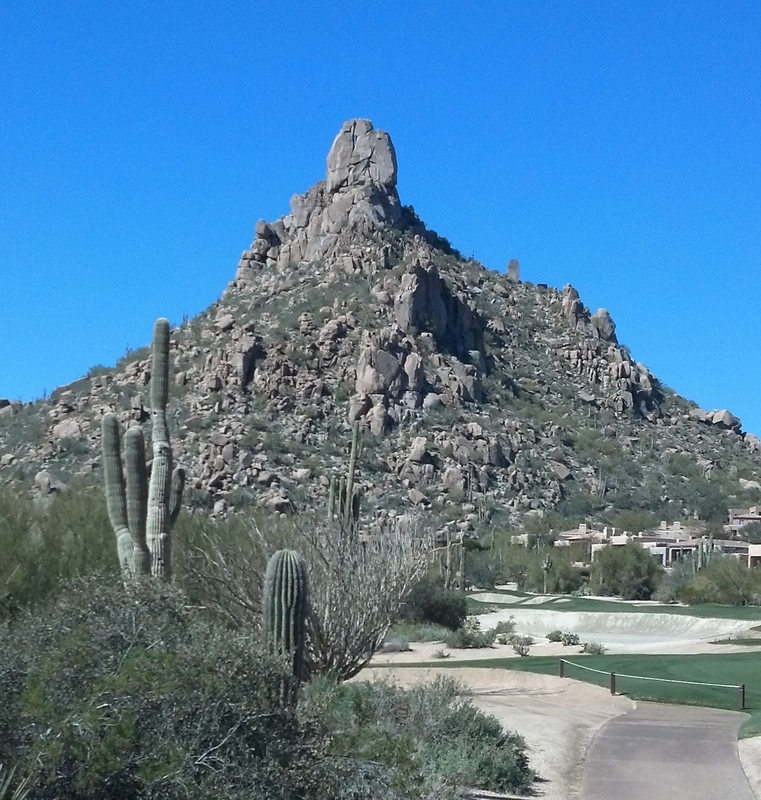 Like many people who live close to a landmark, I am completely clueless about the one near me, Pinnacle Peak. Which is particularly pathetic because I’ve lived at the base of it for 15 years. It serves as a beacon of sorts, providing a touchstone to remind us of just how far away we are from home when we travel around the Valley of the Sun. So, let’s just say hypothetically that one of us is lost and the other won’t ask for directions, we just look for “the Peak” and, voila!, we know which direction is home. Normally the most attention I pay to it is when I’m playing golf and spot some adroit rock climbers who have scaled its summit. Usually they will wave to us golfers. We always wave back, admiring their gumption – and youth. I usually three-putt those greens due to the obvious distraction. Or at least that’s my story this month. But curiosity got the best of me last week and I decided to do some research on the Peak in my backyard. The first thing that struck me is that the Peak is almost 3200 feet high. 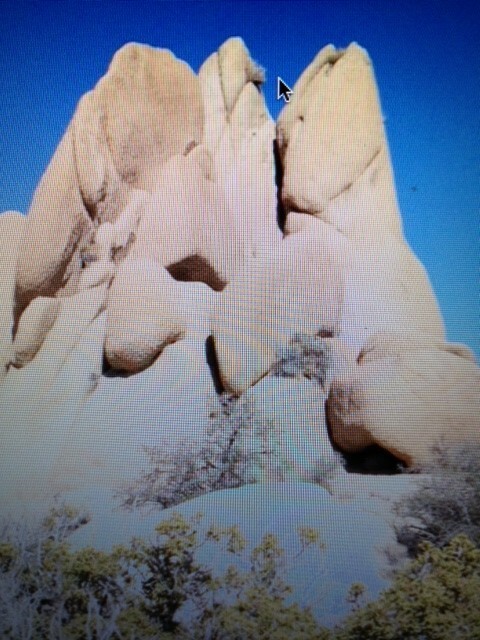 That’s the tip, where all those crazy rock climbers look down on all us crazy golfers. That may not seem high to those of you who live in the mountains, but to those of us in the desert, this is our Mount Whitney. 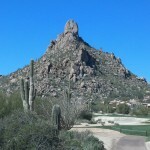 The area around Pinnacle Peak was originally used by the Hohokam Indians for hunting and food gathering. Later, settlers began to use the area for ranching and mining, and finally, the whole darn place was overrun by golf courses and homes. One vestige of the mining era is that the best cheeseburger in the world can be found Greaswood Flats, an old miners shack right across from the Peak. 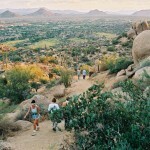 In 1994 the city of Scottsdale decided to make Pinnacle Peak a park and built a trail so that everyone could enjoy its beauty. 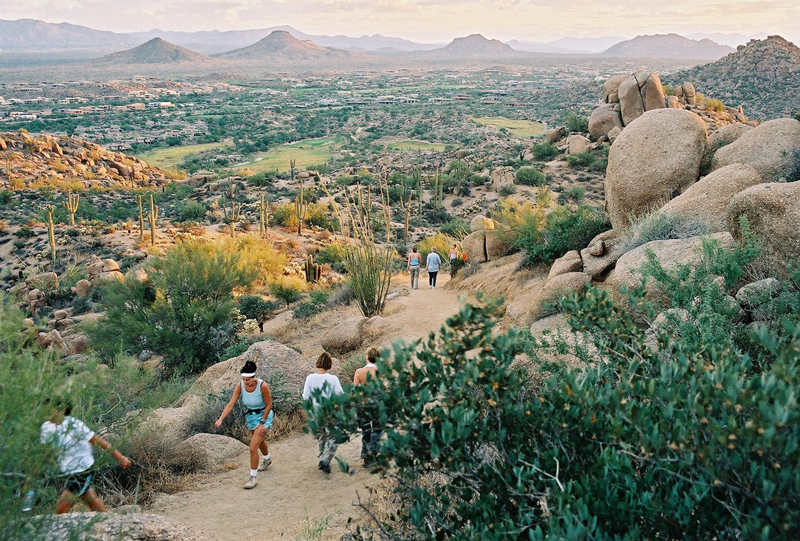 The trail is 3.5 miles roundtrip and will leave you begging for an iron lung on the way up. They conveniently have provided a bench at “Grandview”which they say is so you can sit and admire the the spectacular vista. Usually all I see are my shoelaces, since my head is buried between my knees in an effort to regain regular respiration – and some dignity. The trail only climbs 500 feet from the trailhead to the top, but the older I get the steeper it becomes. I see some young people run the entire trail which I think is highly suspicious and may require some drug testing. If gasping for air isn’t enough to entice you, you might be attracted to the beautiful plants and animals that inhabit the area. You’re likely to see bobcats, Gila monsters and Diamondbacks – and not the ones with a bat in their hands. 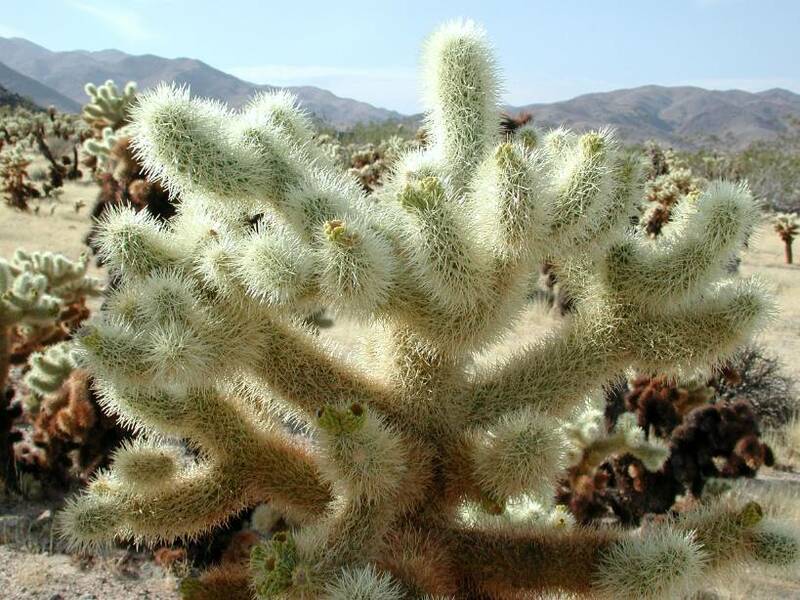 But if you do see them you don’t want to run too far off the trail or you might get stuck in a jumping cholla plant, a vicious cactus that does actually jump out and stab you with it’s fishhook spines. I have promised myself that I will hike the trail more regularly this spring in the fervent hope that I will get in better shape. And, seriously, there is nothing more beautiful than the cactus flowers in the spring. If nothing else, I have found a practical use for the stopping point at “Grandview” – it is the perfect place from which to throw my golf clubs off into a deep, dark crevice, never to annoy me again.